Some schools in the West Country are nothing if not incredibly generous in supporting SOS Kit Aid! 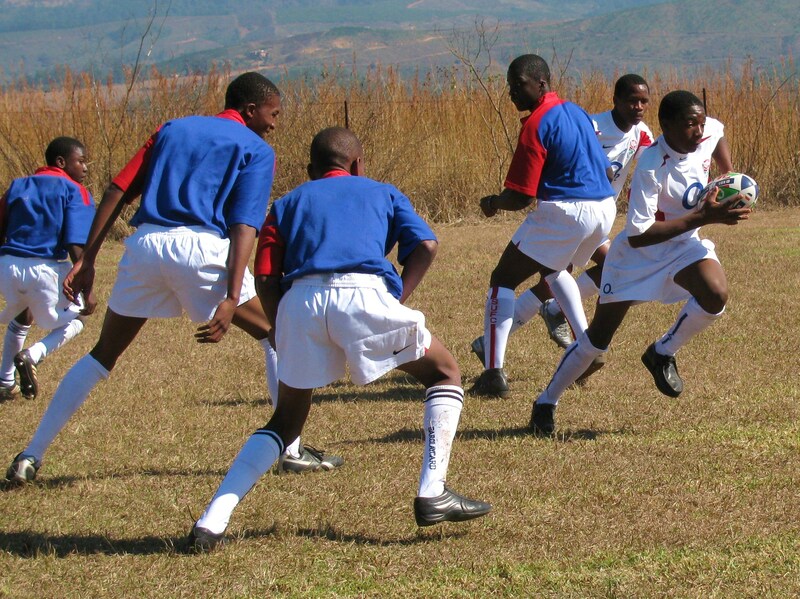 Latest thanks go to Taunton School for another consignment of kit - several large boxes + of track suits, hoodies and tops - all of which will shortly be repacked and sent off to some of the many countries on our waiting list. Special thanks to Hayley Trescothic, School Shop Manager pictured handing over to Ross Young of SOS, and Caroline Henderson for helping with the collection. Keep it coming! Very many thanks to Sherborne Girls School for donating several boxes of track suits, hoodies etc which will soon be on there way to various disadvantaged young people around the world. Special thanks to Amander Mackintosh for tracking me down and to Jane Poulley, Shop Manager, pictured, for helping me load the car! Thanks to Saltash RFC for another donation and Plympton Victoria RFC for their first - welcome on board. Very many thanks to Tony Pryce Sports of Minehead for their continued support. 11 large boxes of brand new kit - sweatshirts, polos, track suit tops etc. 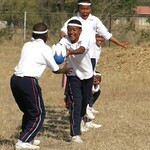 which will help so many disadvantaged youngsters get into rugby across many countries. Pictured are: l-r Sarah, David, Martin and Warehouse Manager Matt. Many thanks to Bristol Ladies RFC for yet another donation consisting of three sets of shirts, shorts etc, we are so very grateful for their continued support. Pictured are Heidi Chapman-Mercer, CEO and Carys Phillips who not only plays for BLRFC but also captains Wales! 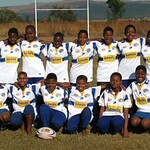 Wiviliscombe RFC have generously donated several sets of shirts including one for boys and a set from their ladies XV. Many thanks for their support and to Peter Stone, First XV coach and Executive Committee member, pictured, for putting the collection together. Keep it coming!! Many thanks to Portsmouth RFC for a fantastic donation of some 13 sets of shirts + training bibs and rugby balls. Special thanks to Nigel Morgan, pictured left, Director of Rugby, who organised the collection. Many young disadvantaged players around the world will benefit from their generosity. Many thanks to Bridport RFC for their continued support with another donation of shirt sets. Especially to Alan Staerck, Chairman, for organising the handover. Pictured l-r: Ross Young accepting the kit from Alan. Many thanks for the continued support of Wadebridge Camels and Launceston RFCs who have again donated many sets of shirts, training shirts, track suits etc. 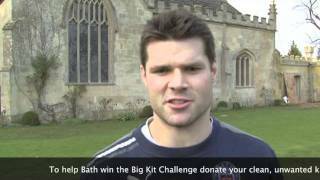 Also to Harvey Skelton of Bristol RFC for donating a lot of kit from his years playing the game. Very many thanks to Sara Sterling, pictured with Kit Aid regional director Ross Young, who organised a collection of good school rugby kit that came about through the merger of Mount School and Kelly College in Devon. More than 30 bags, some of it brand new - brilliant! Very many thanks to Bristol Ladies RFC for a second donation of kit. And especially to Amber Reed and Sian Moore pictured. I hope you have enjoyed the start of the RWC? As part of the legacy from the biggest and best RWC ever held I have organised a collection of old rugby kits from across the whole County. This will be collected by the SOS Kit Aid Charity at Crediton RFC on November 3rd between 2pm and 4pm or alternatively if you have any old rugby kits that you want to donate then I will collect them whilst travelling around. So why not take this opportunity to clear out your kit rooms and sheds and show what an amazing rugby County Devon is! All those who donate kits will be recognised by the charity. Many thanks for your support and I will look forward to receiving your requests for kits to be collected. Can I ask you to share this message with the appropriate persons at your clubs and If you have further questions please don’t hesitate to contact me. The annual SOS Kit Aid South West Golf Day was held on Friday 4th September. It was a hugely successful event with 28 teams fighting it out around Kingsdown Golf Club which was in fantastic condition. Our SOS Ambassadors and guests Gareth Chilcott – Graham Price – Steve Spiers - Andy Deacon – Simon Devereux presided over the whole day and Graham & Steve aka big Al concluded everything with a most entertaining and hilarious prize giving. Richard Westaway Regional Director added…”The day is not only about raising much needed funds but we are reaching out and informing more and more people about what do. With 100 + people attending and playing in our ninth year the event has turned into one of our most important days in the charities calendar. 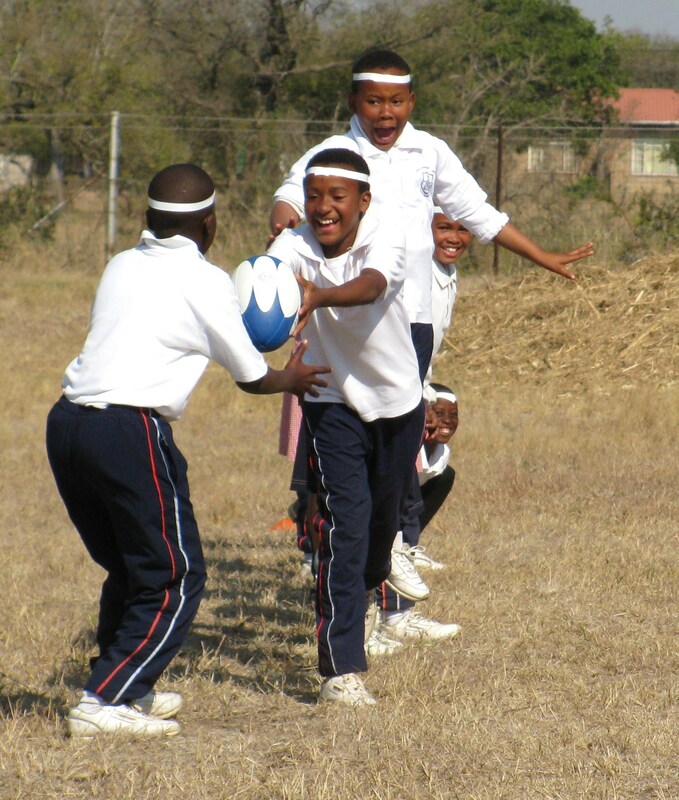 The monies raised will enable to us to continue our valuable work to help and support underprivileged kids to play rugby in developing countries. Our thanks to all of very loyal sponsors and supporters who combine to make this a truly successful day for SOS. Also a massive thanks to Pat Bunton for the kind kit donation ( 5 x sets of shirts ) on behalf of Oldfield RFC. 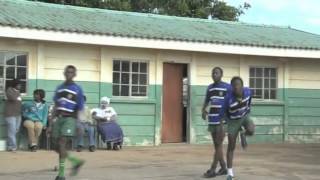 Somerset girls rugby is thriving - and donating to SOS! Pictured is Ross Young, Regional Director South West, receiving several sets of Somerset Girls shirts from Alison Bennett, Chair of the Regional Development Programme for Somerset. On the left is Patrick Cook, Chairman of Somerset Girls Rugby. Also featured are girls from Yatton RFC and Bristol Telephones RFC. The event for local somerset girls teams was held at Castle Cary RFC. We are so grateful for their help! Richard Huish Sixth Form College have come up with the goods again! Very many thanks to Tim Legg, pictured, who as College Sports Maker has organised the collection of several sets of training shirts for which we are hugely grateful. More to follow next year! Thanks to Taunton School for another donation of kit organised by Simon Hogg, Head of Sport. Pictured is Nancy O’Carroll who runs the School Shop. We are so grateful for their continued support. Thanks also to Somerset Rugby Referees Society and Graeme King, secretary, who have donated another large collection of assorted shirts. They will have more to donate following their AGM in July. 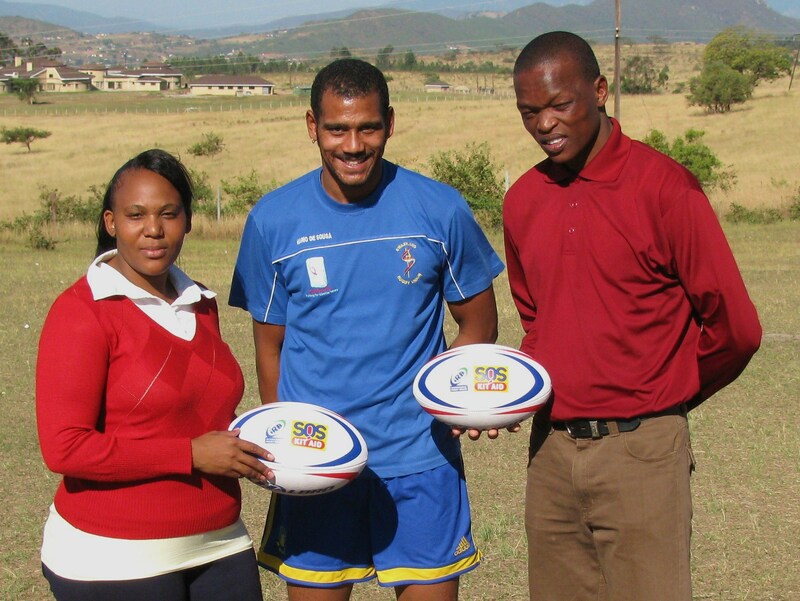 Massive thanks to Rhino Rugby for donating a brilliant 2,132 rugby balls to the charity which will soon be on their way to many clubs and schools around the world to help disadvantaged children enhance their lives through sport. Special thanks to Kim Hunter, Operations Manager and her team. Pictured (l-r) Kim, Lewis Appleby and Angela Floyd, Sales and Cath Duckett, Ops Admin with Ross Young of SOS. Pictured below is Sarah Brooks, women's coach for South Devon Club, Newton Abbott RFC, who was joined by her son when donating rugby balls to SOS Kit Aid recently. Many thanks to Sarah for getting in touch. It's been promised this is the first of many donations. Wadebridge Camels RFC have started their season off with a bang after donating over 250 shirts, 10 full kits and in, total 15 bags full of rugby kit. Pictured below (left) is Ray Davies, committee member and treasurer of the Juniors. Redruth RFC have donated a full set of shirts (24). Many thanks to Chris Allen (1st XV coach) for bringing them. There will be more to come from Redruth. Finally, Somerset made their third kit donation of the 2014 summer which you can read about in more detail here. Thank you to Somerset CCC and Brian Hoyle, Senior Development Officer Somerset Cricket Board (pictured below right). The donation included nine bats, 11 pairs of pads and much more. Huge thanks to Philip Silvester from Ashprington in Devon, who each year travels to Uganda with much needed kit. 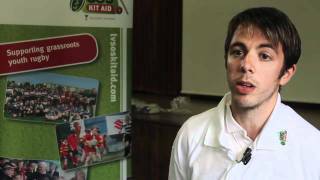 He put a call out to cricket clubs across the South West and it resulted in a huge collection of kit to donate. Pictured (below left) is Jen Kellet, his sister, who stored it for him. Graeme King (pictured below right) has donated kit to SOS Kit Aid on behalf of the Somerset Rugby Referees Society. They have again donated several sets of kit, including three from Avonvale RFC. They will be spreading the word around clubs in Somerset during the season in the hope of collecting more. We are hugely grateful to them for their continued support. September may have seen the cricket season end but it didnt stop one club in the south west from working hard behind the scenes to help others enjoy the game of cricket. Ilton CC donated their left over kit to SOS Kit Aid after an end of season clear out and this will be donated to help those less fortunate play the game. Thanks to the club and Damian Price at Ilton for the donation. We are so grateful to Tone Leisure, who have agreed to host collection bins at four of their sports centres in Somerset - Blackbrook Pavilion, Wellsprings, the Pool in Taunton and the Sports Centre in Wellington. They join other centres in Totnes, Ivybridge, Kingsbridge and Dartmouth in Devon, who are also doing their bit for SOS Kit Aid. Members and the general public are urged to donate their unwanted sports kit at the centres to help disadvantaged young people in the UK and overseas by helping them play sport. Pictured is Richard McGrory (third from right) with his staff at Blackbrook Pavillion. Thank you to Harry Lee (Sports Development Manager and Tim Legg (College Sports Maker) of Richard Huish College (pictured below left) for their donation of various used and new sports kit, which is hopefully the first of many! Pupils from Perrott Hill School (pictured below right) have also generously donated more of their used kit to the charity. We are hugely grateful for their continued support. Tone Leisure, who run four leisure centres in the South Hams, have generously agreed to put collection boxes in each of their centres to encourage members to donate second hand/surplus sports kit to SOS Kit Aid. Soon boxes will be in Ivybridge, Kingsbridge and Dartmouth to add to the one already collecting in Totnes. Pictured are l-r: Clive Higgs (Lord's Taverner), Ross Young (SOS Kit Aid) and Rosemarie Longfield (Lady Taverner who organised the scheme) Justine Foster (Area Manager Tone Leisure) and Ben Wilkinson (Ivybridge Manager). We are so grateful to Tone Leisure South Hams for their help. On 21 May kit was also collected from Kate Marks, a young ambassador for the Rugby World Cup, who organised a collection within her club, Liskeard Leopards (Ladies) RFC, and Liskeard and Looe RFC. Many thanks to her and her colleagues efforts in collecting many sets of shirts, training tops, boots and Tracksuits plus, for which we are hugely grateful. Below, Ross Young is pictured with Stuart Cole (MD of Island Sports). This is the second huge consignment of sports kit he has donated to the charity. The fifteen large boxes contained mainly cricket kit plus some rugby shirts, track suits, hoodies, squash kit and much more - all brand new. Our thanks go to him and his team for their continued support. Very many thanks to Tiverton RFC for their second donation of shirts which consisted of two full sets of kit. 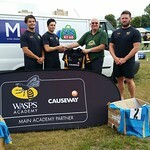 Pictured below is Charles Burt (chairman of Tiverton RFC) donating the kit. Our thanks also go to Nick Curtis for his second individual donation and to Sophie Stevens of Blundells School for a donation of 83 cricket caps to add to several boxes collected over the last two years. Huge thanks to Cullompton RFC for another great donation of rugby shirts. 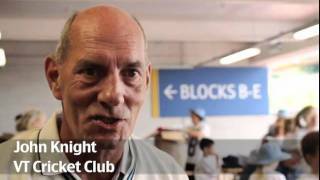 The continued support of the club has made a big difference and helped many disadvantaged youngsters overseas and in the UK gain access to sport. Pictured: Club players Chris Grant and Tom Holland. Bryanston School in Dorset have collected a huge amount of kit for SOS Kit Aid this April, including boots, shirts, shorts and much more. Many thanks to them for their continued support and pictured is the stand at the Independent Schools Physical Education Conference (ISPEC) held at the school where the donation was made. Thank you to Swanage & Wareham RFC who have donated 4 sets of rugby shirts, 37 training shirts, 22 pairs of boots, shorts and much more to SOS Kit Aid. As you can see in the image below there was almost enough kit donated to fill the clubhouse! Thanks to Swanage & Wareham RFC chairman Jim Wooley (pictured) for donating the kit on the clubs behalf. Thank you to Queen's College, Taunton, who have donated over 16 bags worth of cricket and rugby kit. With only a few weeks to go until the cricket season this donation will provide a massive boost to disadvantaged and disabled young children looking to take up the game for the first time. Below is a picture of the collection from Queen's College, Taunton. Pictured left to right are Ian Hayley (hockey coach), Wayne Spangle (Rugby Coach), Julie Harrison who organised the collection and Robert Blackwall (School Chaplain). 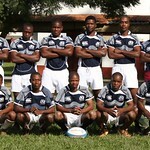 Thank you to both Truro and Falmouth RFC who have donated rugby kit to LV= SOS Kit Aid this February. The players and staff of both these south west rugby clubs have helped make a difference to disadvantaged youngsters in the UK and abroad with their donations. Many thanks to Neil Tucker, chairman of rugby at Clevedon RFC, for his help in getting together the club's first ever rugby kit donation for the charity including several sets of shirts and pairs of boots. Somerset County Cricket Club's Academy have donated a substantial amount of old, unwanted cricket kit to SOS Kit Aid. The academy, who has helped produce the likes of England star Jos Buttler, asked everyone attending training at the club to donate whatever they could to the cause and they have delivered in fine style. Thanks to everyone at the club for making this happen. Taunton uniforms owner Wendy Rose has donated over 80 sports jumpers, 45 t-shirts, tracksuit tops, polo shirts and more to LV= SOS Kit Aid on behalf of the Somerset based shop. All this kit is brand new and we're very grateful to them for the donation. Exmouth RFC in Devon have made their second donation of rugby kit since first getting involved with LV= SOS Kit Aid in 2012. 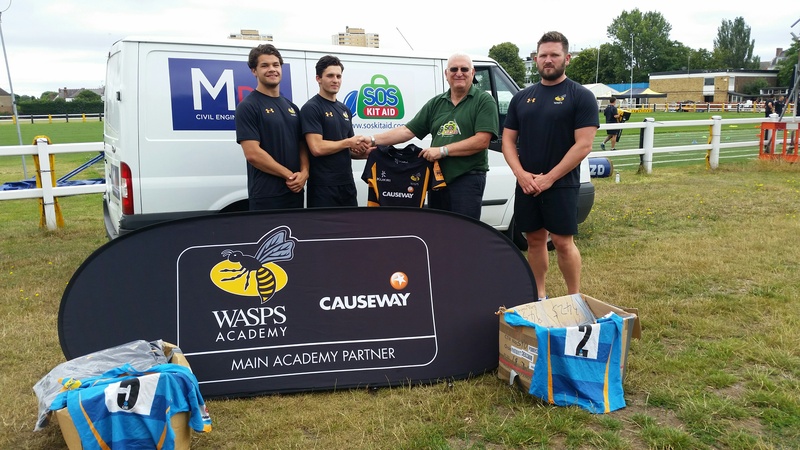 Pictured below (left to right) are Chris Wright (Director of Rugby), Ben Wright (Coach) and Roger Holman (First XV Manager) with the donated kit, which included 5 sets of playing shirts and over 30 rugby balls. Thanks once again to everyone involved at the club. Many thanks to Tony and Liz Jarvis for donating their sons kit accumulated throughout his rugby career so far to the charity. 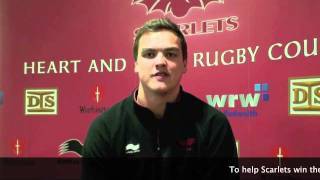 Their son, Adrian Jarvis, is an emerging star and is currently playing at fly half for Bristol. He's donated five bags full of kit - A great start to the New Year! Here's to another happy and successful year donating kit for those young people less fortunate and giving them a sporting chance. Trinity School in Teignmouth have brought the curtain down on another fantastic year of kit donations in 2013. Manager of the School Shop, Rosie Atkinson, made this year's final donation on the Devon school's behalf which included rugby shirts, shorts, tracksuits and training tops. Thank you to everyone involved at Trinity School. We also collected more rugby shirts from Topsham RFC which was a great end to the year which has seen 45 kit donations made across the South West. Youngsters from the UK and abroad are set to benefit from a couple of kit donations this Christmas thanks to the help of Bryanston School and Topsham RFC. Andy Marriott (Head of Sports at Bryanston School), Rory Christopher (Rugby captain) and Oliver Weld (Captain of cricket) helped make the donation of cricket and rugby kit happen at the school in Dorset (see photo below). This donation is very much appreciated and we look forward to more donations from them in the future. (Topsham Rugby Club) The photo below (left) shows girls from Topsham rugby club, Emma Ranson Bellamy and Sam Cochrane, who organised a rugby kit collection for the club, which included over 250 shirts! Many thanks to the club for their help. Pictured below (left) is Bill Frost, chairman of North Petherton RFC. The club have recently donated numorous junior rugby shirts to the cause for the second time and we'd like to thank Bill and the club for another donation. The second donation of kit made this December has come from Perrott Hill School. Head of Sports, Simon Sheldon and first XV captain Tom McCraig were on hand to make the donation of several sets of old rugby shirts and we're told its going to be the first of many. Pupils from St. Joseph's School in Launceston, Cornwall, have donated a great assortment of sports kit to LV= SOS Kit Aid. Pictured below with the pupils is Lindsay Barton, who organised the collection. In addition to the work of St. Joseph's, Blundells School have made their fifth donation of kit which now puts them head of the South West kit donation leader board! Thank you to them for such great support. Thank you from LV= SOS Kit Aid! 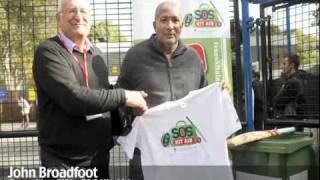 Thank you all for your support of LV= SOS Kit Aid and its aims to help disadvantaged children get into sport! 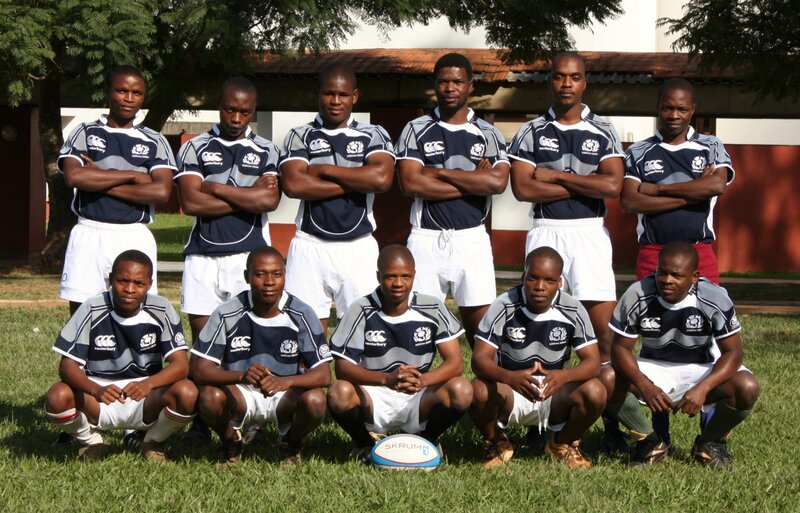 We have received two separate donations of rugby kit from Midsomer Norton RFC in Bath this summer. 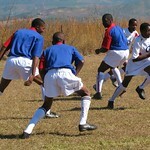 The donation included 8 sets of playing shirts, 24 training tops and much more. They have now donated 16 sets of kit which is hugely generous and everyone from LV= SOS Kit Aid is grateful for their continued support. Our thanks to club captain Jack Rowles and Geoff the groundsman (pictured) for organising the collections. 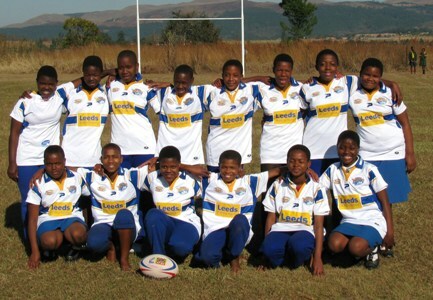 Devon based club Brixham RFC have provided LV= SOS Kit Aid with a magnificent haul of 9 sets of rugby playing shirts. Our heartfelt thanks to all at Brixham RFC. Pictured left to right: Chris Forster (Chairman), Barry Thomas (1st XV Manager) Derek Piper (Club Liaison). All Hallows School have also made a second great donation for which many underprivileged youngsters in the UK and abroad will be very grateful. Thank you again to all at the School. Thanks to the University of St. Mark and St. John in Plymouth, LV= SOS Kit Aid was the beneficiary of a massive donation of rugby and cricket kit. The donation included 19 hoodies, 94 tracksuit tops, 123 pairs of tracksuit trousers, 66 polo shirts and 52 t-shirts, which are all brand new as a result of the university changing their colours. Pictured is Lorraine Curtis who organised the collection and second from right Diane Smith (Faculty Admin Manager) together with members of the marketing team. Third left is Allan Jones wearing the new colours. To cap off a busy summer Ross Young also collected cricket kit from Malcolm Broad, organiser of the Junior County Cricket Tournament held at King's College Taunton. This was a 'starter for 10' which it is hoped will reap even more reward next year! There was also an individual donation made by Brian Staplehurst of Plymouth. Thank you to both. 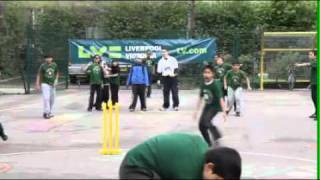 Explosive England wicket-keeper batsman Jos Buttler has once again showed his support for LV= SOS Kit Aid after his parents donated a substantial amount of his old Somerset and England cricket kit on his behalf. The donation included 31 cricket shirts and 26 t-shirts/polo shirts. Thank you to all the clubs, schools and shops who have supported SOS Kit Aid in the South West with their kind donations. Barnstaple, Bodmin, Bridport, Brixham, Bude, Castle Cary RFC, Clevedon, Cullompton, Crediton, Crewkerne, Devon RFU, Devonport Services, Exeter Saracens, Exmouth, Falmouth, Launceston, Midsomer Norton, Newquay, Newton Abbott RFC, North Petherton, Okehampton, Penryn, Plymouth Albion Oaks, Plympton Victoria RFC, Redruth RFC, Saltash, Somerset Girls Rugby, Somerset RFU Referees, Somerton, Swanage and Wareham RFC, St. Ives, Taunton, Tavistock, Tiverton, Topsham RFC, Totnes, Truro, Wadebridge Camels RFC, Winscombe Juniors, Wellington, Weston Super Mare, Winscombe RFC, Wiveliscombe RFC. All Hallows, Blundell's School, Bryanston School, Kings Taunton, Milford on Sea, Newquay Tretherras, Perrott Hill School, Polwhele House, Richard Huish College, Sherbourne Girls School, St. Joseph's School, Taunton, Torquay Grammer, Trinity School, University of St. Mark and St. John, Writhlington, Truro High School for Girls, Truro School, Wells Cathedral School, Westfield Academy Yeovil.